Welcome to Carrington! The "Central City" is located on the Southern Drift Plain near the edge of the Missouri Coteau in southeastern North Dakota. It is the county seat of Foster County and the business hub of the area. The varied landscapes around Carrington harbor some premier birding attractions. When you visit, you will find three birding drives originating from Carrington. They will take you through true prairie treasures and point out the exciting birds they have to offer. GPS Navigation Routes and printable maps. To enable your smart phone for GPS navigation of the routes, go to Avenza.com Load the Avenza PDF Mapper to your smartphone; then download the maps below into your phone. The maps below may be printed for a hard copy, or uploaded into the PDF mapper for navigation functions. Carrington to Chase Lake - Take a drive from Carrington to the home of North America’s Largest Nesting colony of American White Pelicans at Chase Lake NWR. 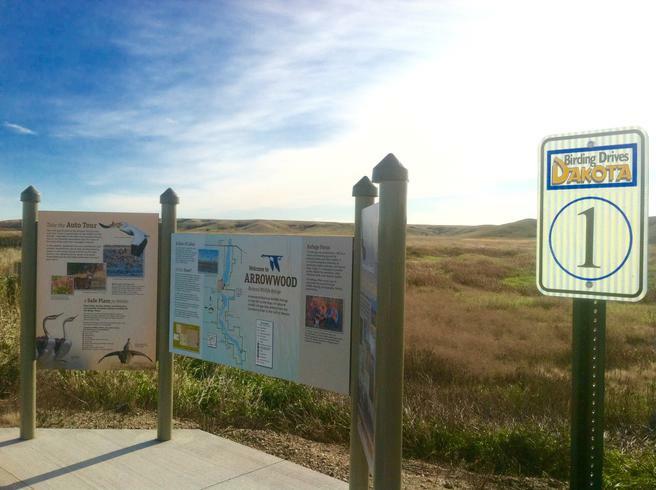 Carrington to Arrowwood NWR - Take a drive from Carrington to Arrowwood NWR where you will spot waterfowl, shorebirds, dancing sharp tail grouse, and various grassland songbirds. Carrington to Lake Juanita - Take a drive from Carrington to Lake Juanita where you will spot waterfowl, shore birds, and a variety of grassland songbirds.